How do you build a high-performing, cohesive team when people are working on different schedules? Clarity is even more important as you get everyone working toward the same goals and it takes extra effort to build relationships with little face-time. Here are tips that can help. When Karin first started her retail sales exec role, one of the best pieces of advice she received from her predecessor was “Show up in the stores during the times you would most rather be at home.” The logic being, the employees working those shifts would ALSO rather be at home. When you show up on a Sunday at 11 am, or Friday night at 8 pm you gain credibility and build trust with the team. When schedules are chosen by seniority or performance, the least desirable shifts often fill with lower-performers who can drag one another down. Find creative ways to recruit great talent for your tricky shifts to raise the bar. If this is a challenge, look to non-traditional segments of the workforce, offer part-time work, or pay differentials to help you ensure you have high-performers on every shift. You can’t have a high-performing team without a clear definition of what success looks like. When people are working different schedules it’s even more important to over-communicate what winning means. Spread out your 5 x 5 communications (five times, five different ways) and checks for understanding to cross all shifts. Nothing beats face to face communication now and then. Schedule at least a brief overlap of shifts and make the handoff with a well-structured team huddle. From time to time, increase the overlap for a more strategic staff meeting. One of the biggest complaints we hear from team members working different schedules is that they miss being part of a cohesive team. This is challenging when team members feel isolated on an overnight shift. How can you create a virtual watercooler? A private Facebook page can be a great way for team members on different schedules to get to know one another as people and to have fun. One of the biggest challenges of leading a team on different schedules is that it’s hard to pull people together for a quick brainstorm. With just a little extra effort you can tap into the power of asynchronous brainstorming. It can be as simple as a few easel sheets hanging in a designated place with a question of the week that employees respond to at the beginning of their shift. Technology can really help. Some of our clients like to leverage our learning lab technology to ask and collect answers to strategic questions via text, or to conduct a quick poll to gather input. In pretty much every focus group we’ve done on a night shift, we’ve heard this common complaint, “We just don’t get enough recognition.” Sometimes this is because performance is just not as good (see number 2), but mostly it’s the out-of-sight-out-of-mind dynamic. Be sure you’re around enough to notice the good happening on all the schedules. Recognize it. 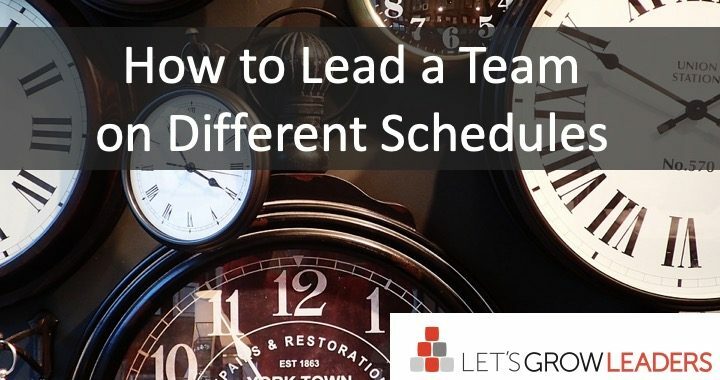 Having your team work on different schedules is tricky, but not impossible. Communicate more than feels necessary, show up when you can, and stay curious about how you can best help. What are our ideas to make it easier to lead teams on different schedules? You can’t afford not to develop people – but it doesn’t require hours. You’ll never have enough time. It’s a fact of life – you can’t do everything. I’ve never met a manager who has extra time. It will never happen. The number of things you could do today will always exceed the time you have available to do them. I’ve got to take care of the customer now so I can’t take care of the employee. These aren’t mutually exclusive. Take care of the customer with your team member – not instead of your team member. Investing in your people will help them take care of future situations without your direct help, giving you more time. HR can handle staff development. This is a common mistake. Your Human Resource team can support you and your team, make training available, and coordinate grow opportunities, but as a leader, you are the only one who can help your people to grow right now, where they are. There’s no substitute for your leadership and you can’t outsource your team’s growth to someone who isn’t a direct part of their journey. 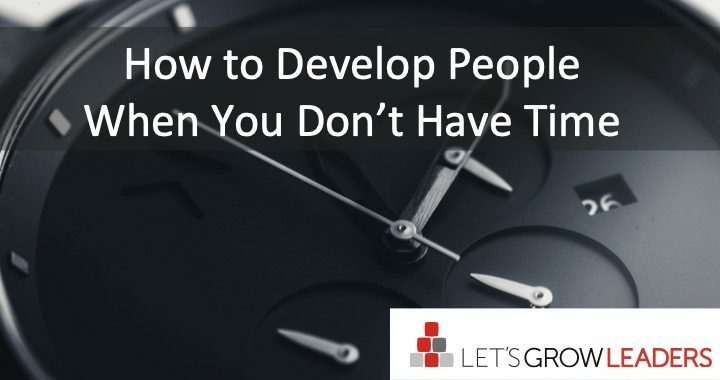 Developing people takes too long. Many well-intentioned leaders make this mistake. You might feel like you need an hour to have a deep coaching conversation, but you don’t. You may want to take a couple of non-existent hours to put your thoughts together in a rousing motivational speech that will fuel your team’s performance. But that’s not how the real world works. Winning teams aren’t built by a stirring halftime speech; they’re built one micro-engagement at a time. It’s true. Your time is limited. So you’ve got to be laser-focused and make the most of every opportunity. It’s amazing what you can achieve in 30 seconds or less when you’re prepared. This is the secret of micro-engagement – consistent short development wins every time. Start by knowing what your people need. 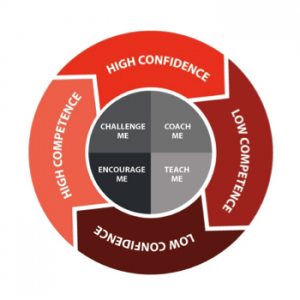 Use the Confidence-Competence Model to identify who needs encouragement, coaching, more challenge, or training. Don’t waste your time or their attention encouraging someone who needs a challenge or coaching someone who needs encouragement. Once you know what they need, be on the lookout for a chance to share it. Keep it short, keep it focused – that’s the magic of micro-engagement. When time is tight, encouraging and challenging competent employees are often the first behaviors managers abandon. You get more of what you encourage and celebrate, so take the time to do it. You always have 10 seconds to look someone in the eyes and tell them they did well. Effective development conversations happen in the work, not apart from it. Don’t wait for the next retreat, offsite, or performance review to give your people the development feedback they desperately need. Help them grow through the daily interaction you already have. You don’t have time not to. Please leave us a comment and share how your favorite way to invest in your people when time is tight. 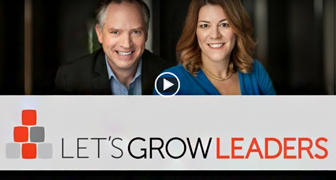 90 days to transform your team, your leadership, and your results. 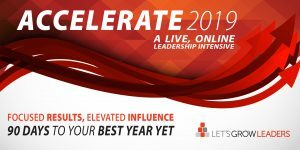 We’ve got seats available for ACCELERATE 2019. Make this year your best year ever – without leaving your office. An open door policy doesn’t get you what you need to lead. 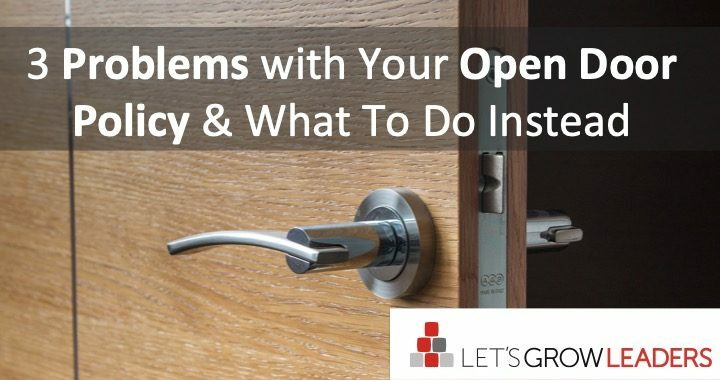 The intent behind your open door policy is good: a door that is figuratively always open to encourage transparency, open lines of communication, a standing invitation for your employees to bring you issues that affect them or their work. The intent is good, but the reality is more complicated. In fact, your open door policy may be causing your team more harm than good and limiting your leadership. 1. Your Door is Literally Always Open. An open door policy doesn’t mean you are constantly interruptible. Constant interruption prevents you from thinking deeply and serving your team in the ways only you can. If you allow a constant barrage of “Gotta minute?” to obliterate your day, you won’t be able to lead your team anywhere. An open door policy doesn’t mean your door (if you have one) is literally open all the time. We helped one senior leader overcome this challenge by defining 90 minutes of deep-think time in the morning and again in the afternoon where everyone committed not to interrupt anyone else unless it was an emergency. That may not work in your setting, but the principle is important. How can you give yourself and your team the space to focus? 2. You Don’t Get All the Information You Need. Your people know things you need to know. They can spot problems before they spin out of control. They know what irritates your customers. They’ve already created micro-innovations to be more productive and better serve your customers. They’re your greatest asset – but only if you hear what they have to say. Most of the information that will walk through your open door are complaints. There’s nothing wrong with this necessarily. You need to be aware of problems – especially those that create a hostile workplace. An open door policy isn’t enough. Occasionally, you’ll have someone walk through your open door with a great idea. I’ve had it happen. But most of the great ideas will stay locked in your employees’ minds. To get the information you need to make the best decisions, you’ve got to intentionally go ask for it. Most employees are busy doing their jobs. They may not even realize they have experience or wisdom worth sharing. If they do have insights, they may believe you’re not interested in hearing them, no matter how many times you talk about your open door policy. Take the initiative and seek out the information you need. Regularly ask your team how things are going, how you can help them to do their job more effectively or serve the customer, or what’s getting in their way. Ask them to teach you how they do their work. The final leadership problem with an open door policy is that it puts you in a reactive mode. You’re not thinking strategically about what will move your team or the business forward. You’re waiting and responding to the issues that come to you. I’m not suggesting that you don’t respond to problems that people bring to you. Rather, if you’re leading strategically and moving things forward, you are more likely to have surfaced and solved these issues long before they surface as complaints or distractions. Most employees aren’t asked to think strategically in their normal work, so the problems they bring you won’t be strategic either. To help your team think strategically, give them the information they need to make strategic decisions. Help them understand how the business makes money and impact and how they’re work contributes to the bigger picture. Facilitate Own the UGLY discussions to help find the game-changing opportunities and challenges long before they would walk through your open door. Your open door policy can be a foundation for trust, transparency, and communication, but there’s a danger if you let it make you passive and reactive. Leave us a comment and share How do you maintain a strategic focus for your team and solve problems before they become bigger problems? or for the prestige (no job will make you feel good about yourself). Maybe you took this job because you care about the people you serve and results your can achieve together. If so, you’re off to a great start. Welcome to the hope business. When your team has hope, you have a chance. Hope means they believe in you. They trust you and one another. You are credible and you have a strategy they believe can succeed. Everything you do from now on will build or erode hope. If you’re like most leaders, no one has ever told you’re in the hope business. That this is the most important thing you can give your team. That without it, you are finished before you ever get going. Hope is your most important leadership responsibility. Leadership is the belief that if we work together we can have a better tomorrow. That’s hope. But if you’re like most leaders, no one’s ever told you that you’re in the hope business. But every day you ask your team to try, to think, to solve problems. Why? Why should they try? The only answer is hope. Because when we work together we can make things better – better for our customer, better for one another, better for our families. You might be wondering how to lead with hope when circumstances are challenging. Perhaps a market shift means you have to close some elements of the business that aren’t relevant and regroup to face a changing environment. What does hope look like in that scenario? Hope is the message that together you’ll get through it. Hope is the gracefulness with which you make the changes. Hope is the way you call your team to their personal best. The belief and practice that no matter what happens, each of you will be better for the way you choose to lead through it. One of the reasons we wrote Glowstone Peak was to inspire children (and the adults who love them) with the power of hope. As Selvia realized, “Nothing gets better if I stay here. So she started walking.” That’s hope – and the courage to try. We hope you’ll share the story with the children in your life. Now, we’d love to hear from you: What role does hope play in your leadership? How do you lead with hope – especially when times are challenging? Recently we were working with senior leaders in a global company who faced a challenging morale problem. They hired talented capable people who were producing good work – but their talent was leaving. Leaders at every level were frustrated at the forced ratings performance management system. It goes by many names: forced rating, stack ranking, and bell curves. You rate people’s performance by comparing them to one another. Those who finish lowest in the ratings are put on performance improvement plans, aren’t recognized for their performance or are even told to leave. These systems are appealing because it seems like the formula (keep your top performers, replace the low) will ratchet up performance as everyone competes to be at the top of the ratings. You create contradictions as you hire great employees, but then tell a segment of them that they’re not great after all. You create internal competition rather than outward competition. You create strong incentives to game the score rather than play the real game of serving your customer. You’re asking people for their least-best effort (what they have to do to stay alive) rather than their true best. Leaders don’t learn how to lead and manage for sustainable results. Managers aren’t allowed to reward genuine performance when talented performers end up on the low end of the rank. 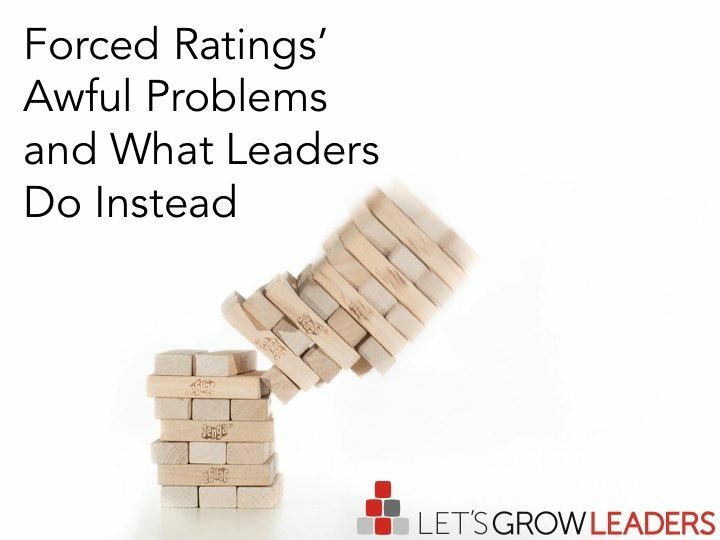 Forced rating systems are helpful when a leader needs to jumpstart a large organization that’s caught in a morass of sloth, no accountability, and poor execution at every level. A quick ranking to identify truly poor performance and remove it from the organization sends a message that things are changing. In essence, forced rankings are used to compensate for poor leadership. Successful frontline and middle-level leaders frequently succeed despite, not because of, forced ranking systems. These systems become another barrier they have to overcome on the way to sustained results. Forced ratings are an attempt to compensate for poor leadership. For the long-term, however, the answer to sustained transformational results isn’t forced rankings. If the problem is poor leadership, it should be fairly obvious: fix the problem. Hire fantastic people. Identify the competencies your top performers share in common and interview for those traits. Cultivate and create systems that help top performers to excel. What is the number one frustration that prevents your team from excelling? What can you do to remove it or lessen its disruptive impact? Align compensation with what you really want. If you need a team to perform at an objective level of excellence, compensate them for that performance. Don’t turn the team against itself with artificial comparisons that don’t benefit the work that’s done for your customers. Invest in your leaders and managers – formally or informally, with budget or without the budget. No excuses. Give your managers and leaders the tools they need to succeed. 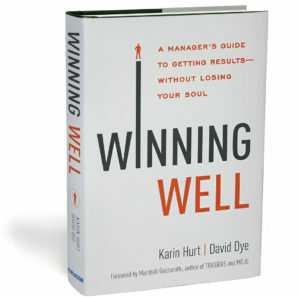 If you need a place to begin, check out the free Let’s Grow Leaders Facilitator’s Guide that accompanies Winning Well: A Manager’s Guide to Getting Results Without Losing Your Soul. Set clear, shared, mutually understood expectations that include purpose & meaning and the MIT behaviors that lead to success. Train and equip their people to perform well. Hold themselves and their people accountable. Help team members to grow with training, coaching, encouragement, and challenge for high performers. Hold leaders accountable for their results and how they achieve them. I often see senior leaders talk about how they expect their team leaders to perform, but they never actually reinforce the behaviors or hold their direct reports accountable. Remember, you can’t replace the work of a human leader with a formula. Invest in your leaders and hold them accountable for leading. Leave us a comment and share your thoughts about forced ranking systems or your #1 tip to make them unnecessary. Have you ever been given a goal by your supervisors and thought, “Ugh! What are they thinking? My team’s gonna hate this!” If so, you’re not alone. Every manager has to figure how to motivate your team in situations like these. 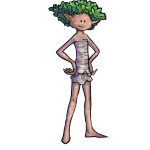 People don’t like it when they feel goals are ‘shoved down their throats’ – goals that might have been set by people who may not have all the facts and didn’t ask for input. The good news is that you and your team can still thrive in these situations – there are ways to motivate your team even when you didn’t set the goals. Understand that you don’t actually motivate anyone. A person’s motivation always comes from inside them. Your responsibility is to help release that motivation. The first step when you’re wondering how to motivate your team is to remember that you can’t actually motivate anyone. Don’t motivate, cultivate. In these situations, the very worst thing you can possibly do is walk into your team meeting and say, “Those clueless jerks gave us these goals and I guess we’re stuck with them.” These kind of statements are leadership suicide. They kill your credibility, disempower you and your team, and make your team wonder who they should be talking to, if not you. Do not shirk this responsibility. Own it. Rather than, “These are your goals, go figure it out and stop your complaining…” Try, “This will be our greatest achievement…and, you won’t be alone. I will be with you each step of the way. I’m committed to helping all of us succeed together.” Note: you MUST back this offer of help with real action or you won’t be asking how to motivate your team, but how to reclaim your lost credibility. Part of your responsibility as a leader is to advocate for your team, department, or organization. 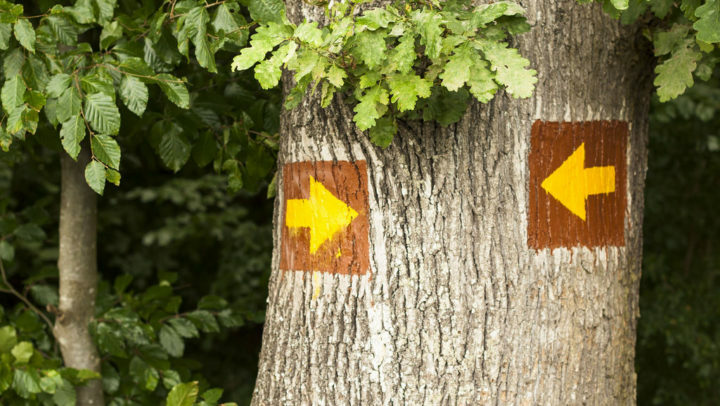 Actively manage up and get as much information about why goals were set the way they were. The more information you can share with your team, the better. Also, take the opportunity to share any facts the decision-makers may not be aware of – be sure to share it in a way that will help them with their needs and goals. Note: you will not always succeed in changing the decision-making, but your credibility with your team and the organization will grow. Your team knows you have their back and, over time, you will gain more opportunity to speak into the goal-setting process. Whatever strategy your team developed – do it! Become its biggest champion. Remind everyone of their potential, the process, and their input into the decision. Hold yourself and the team accountable for results. When you get it done – make it a big deal! Thank individuals for their efforts. Celebrate the team effort. Fly the flag and let your own supervisors know what the team did and how they did it. When you’re wondering how to motivate your team, remember that you don’t actually motivate anyone. Cultivate an environment where you honor them and bring out their best. 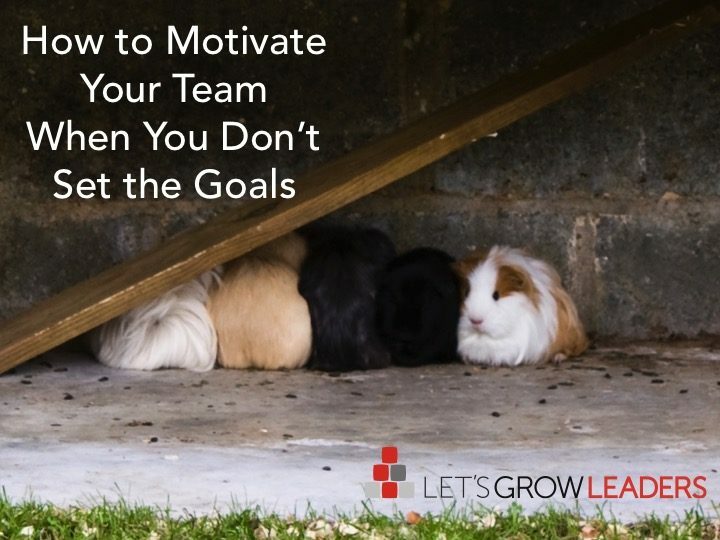 Leave us a comment and share your thoughts on how to motivate your team – especially when you don’t set the goals? I regularly speak with nonprofit leaders who wonder why their nonprofit struggles to grow. They have a great theory of change, clear intended impact, enthusiastic donors, but … something is wrong. It’s a little obvious, isn’t it? 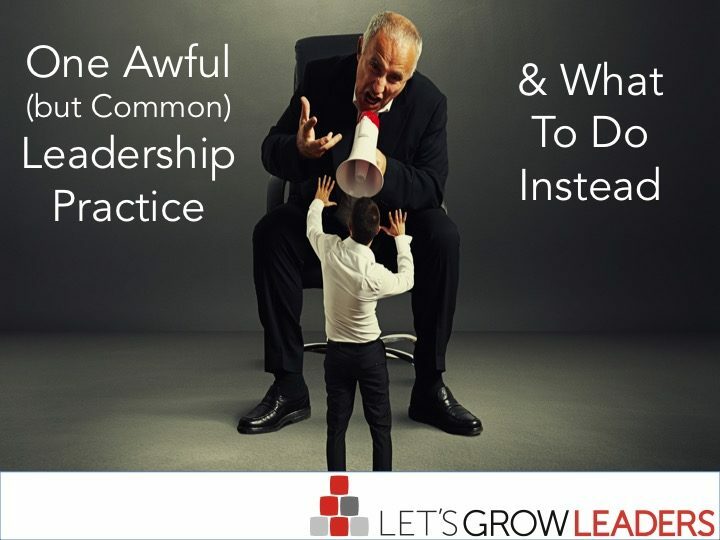 In my experience, the number one reason an otherwise healthy nonprofit struggles to grow is the failure to develop leaders. Would you be surprised to learn that employee engagement in nonprofit organizations is among the lowest in any sector? At first, this might seem like a contradiction. After all, we know that connection of work to meaning and purpose is one of the big drivers of energized, motivated employees. Shouldn’t there be a lot of meaning and purpose in charitable organizations? Of course, there is. But when that passion for the cause is used to justify poor leadership or governance, it creates dangerous pitfalls for culture, leadership, employee retention, and financial resources. With healthy leadership at every level, your charitable nonprofit can be some of the most fulfilling, productive work you’ll ever do. Without that leadership, however, it can feel like a treadmill of futility and growth is all but impossible. Your mission matters. Your people are working hard. Your donors deserve the best impact for every dollar they contribute. Build the leaders you need at every level of your nonprofit to be the best steward of the time, talent, and money you received. If you’ve got a clear mission, an articulate theory of change, and motivated donors, but your nonprofit struggles to grow, here are five steps you can take to build the leadership you need to get to the next level. Train Every Leader. No Excuses. No Exceptions. Don’t give anyone responsibility for people without fundamental leadership and management training. If you’re a smaller organization, you can start internally. 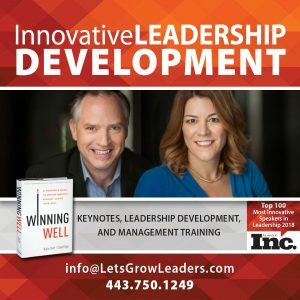 Create a leadership development circle (you can download the free Winning Well Facilitator’s Guide to get you started). If you’re a growing organization, consider bringing in experts to help you create a common leadership language, use consistent, practical management skills, and create a performance-oriented, people-centered culture in your organization. As you invest in leaders and equip them with the skills they need to be effective with people, expect them to excel in their leadership responsibilities. 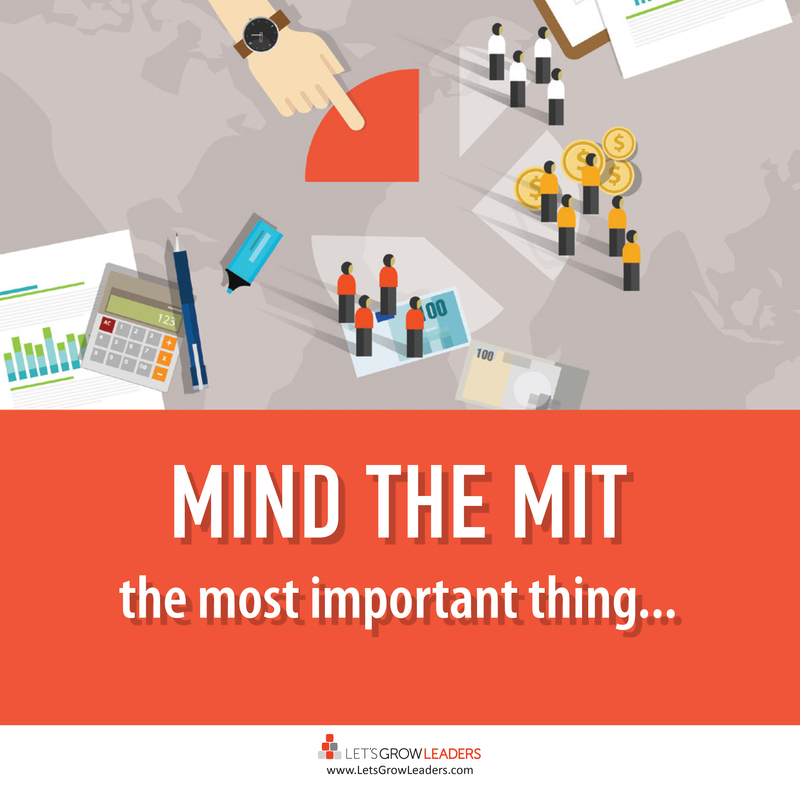 Clarify the MITs (Most Important Thing) and ensure you’re both on the same page about what successful performance looks like. Celebrate success and hold one another accountable when performance drops. Don’t lose yourself in the metrics maze and focus on meaningless measurements. If this year’s 75% functional program expense allows you to double your impact next year, great! Help your Board and donors understand how they’ll have more to celebrate. Rigorous performance evaluation is a hallmark of effective nonprofits. Every investment you make should have a clear path to increased mission impact. As you invest in your leaders, demonstrate the value: reduced attrition, improved talent recruiting, improved efficiency with donor dollars, greater impact on your clients and cause, and a “next-one-up” succession plan that guarantees effective work long into the future. Boards have an important role to play by setting clear expectations regarding leadership development and regularly reviewing these processes to ensure it is happening. Hold your executive staff accountable for developing their talent and ensuring the organization’s current and future success. Educate your donors about why they should invest their money in organizations that build leaders at every level rather than with those who don’t. As a donor, when you contribute to charitable organizations, look at their management team and leadership development. 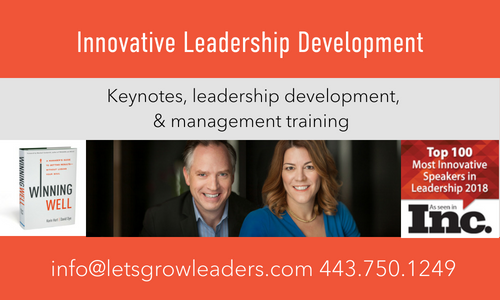 Ask questions about how the organization trains leaders at every level to be effective at achieving results and building relationships. My favorite leadership development is with people who commit to making the world a better place. Whether you’re a part of a for-profit, nonprofit, or public organization, there is an energy, joy, and passion for performance in those teams that’s infectious. If that’s not your team; if your mission and people are as important as you say they are; if you have the fundamentals covered but your nonprofit struggles to grow, then it’s time to invest in your leaders. I’ve built these teams as a nonprofit leader and consulted with many leaders who have done the same – even with limited budgets. It’s not about money; it’s about mindset. How do you ensure leaders at every level receive the training and skills they need to succeed? Recently, I received an incredibly strong message about retaining high performers. 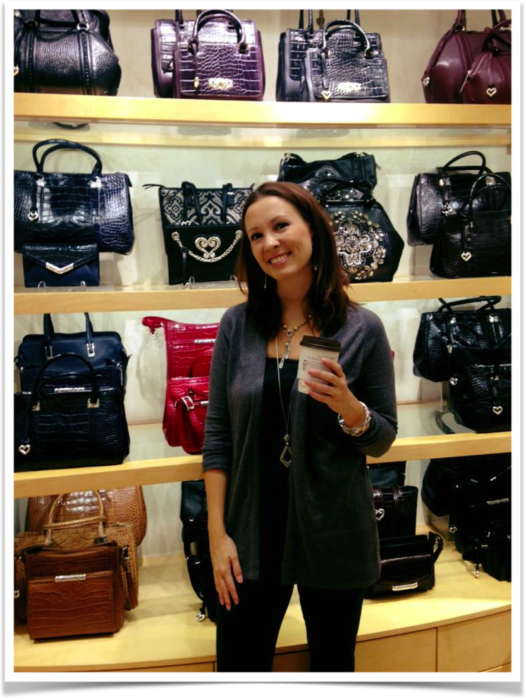 The message came from Jennifer, a former store manager at a national women’s clothing chain. Jennifer is outgoing, incredibly gifted at making customers feel comfortable, and was considered a “high-potential” by her district and regional managers. Within a year, however, she had quit. Tell them they’re doing well. Be specific about what they’re doing well and why it matters. Build on that foundation with a path forward. How can they continue to grow? What future roles are available for them and what skills will they need to master to thrive in those roles? That depends … how important is retaining high performers? How much lost talent, energy, and productivity will a lack of encouragement cost you? Human beings need encouragement. It’s a fact of life. You get more of what you encourage or celebrate and less of what you criticize or ignore. If you want a team that doesn’t need to be encouraged, get a cat. Otherwise, if you’re working with people, they need encouragement. If you’re married, imagine what would happen if, after your wedding, you never said “I love you” or never held hands or kissed the other person. You couldn’t expect your relationship to last very long. That’s the equivalent of never saying “thank you” or encouraging your team members. Yes, it’s their job in that they’ve made a commitment to your company – just like spouses make a promise to commit to one another. That doesn’t mean you should take that commitment or your team’s work for granted. Make sure your encouragement is related to the work and business outcomes. It demoralizes everyone when you encourage someone for something that actually detracts from the team. Consistent encouragement doesn’t need to take hours of your time. I often work with managers to create ‘micro-encouragement’ with their team members – small moments where you are specific, meaningful, and relevant in a sentence or two. These consistent micro-encouragements add up to massive influence, productivity, and yes, retaining high performers. Leave us a comment and share: How you make sure to give people the encouragement they need? How do leaders stay focused when everything feels so important? Mark’s calendar might look familiar: wall-to-wall meetings, often with two or three appointments competing for the same window of time. Management means an unending stream of information, problems to solve, decisions to make, fires to put out, constant interruptions from email, texts, phone calls, messaging apps, and that’s not to mention the projects you want to work on to build a better future. It can seem like you’ll never get ahead. The first step to address this overwhelm is to accept the reality that you cannot do everything. I often refer to this as “Infinite need, finite me.” You can’t succeed by doing everything – only by doing what matters most. Once you’ve made peace with the reality of infinite need, finite me, it’s time to get crystal clear about your M.I.T. or Most Important Thing. In your work, what are the one to three most important strategic objectives you and your team can achieve? Your ability to Mind the M.I.T. is critical to your success, but what if you don’t know what’s most important? It’s not always as straightforward as we might hope. In fact, we’ve seen many frontline leaders and middle-level managers in organizations we work with struggle to identify their M.I.T.s. 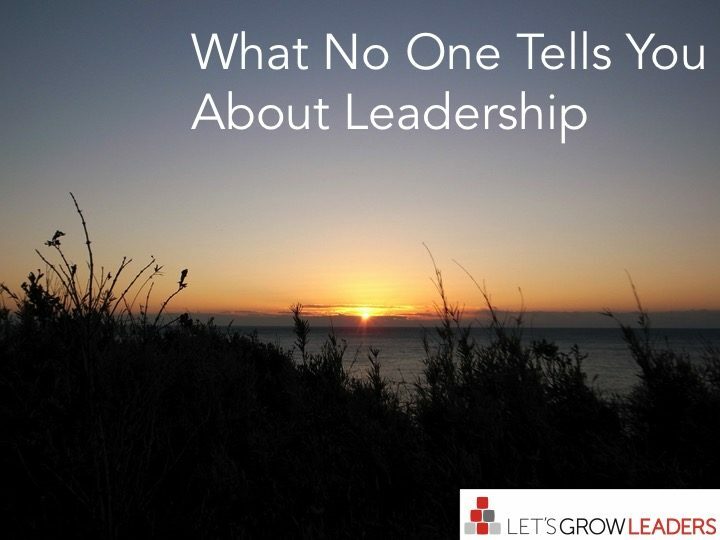 We’ve often sat with befuddled leaders and invited their manager to the conversation. We’ll ask the manager to identify the MITs and they rattle off the top one, two, or three priorities for the next year. They may not have communicated them well, but they knew what they were. If your boss isn’t clear about the MITs, trying thinking up a level. What keeps your boss’s boss awake at night? What are the goals they’ve got to achieve? How does what your team does contribute to these outcomes? You might even try initiating a skip-level meeting in order to align your team with strategic goals. If your boss is amenable, invite them to join you. 3. Ask What Matters Most to Your Customers. If you can’t get clarity from your managers, the next place to look is at the value you add for your customers. Whether you provide a product or service and whether you do that for external or internal customers, they don’t care about your scorecard. What do they care about? What are the one or two things your customers most need from you? Focus on doing that exceptionally well. 4. Ask What Matters Most to You and Your Team. If you’re still struggling for clarity, imagine a day six months or a year into the future where you and your team are congratulating one another for having done your very best. What did you achieve? What made you most proud? How do you know you did your very best? 5. Look for the Leverage. Often, there is one action you can take or one result you can produce that will have a profound effect on everything else. What is that one point of leverage that, if you did it successfully, would change the game for you, your team, and your organization? When everything’s important, you blunt your impact. When you take time to figure out your one, two, or three strategic M.I.T.s, then relentlessly focus on them every day you’ll energize your team and results can soar. Today, Mark has his three M.I.T.s written on a whiteboard in his office. He reviews them every day and discusses them with everyone he talks to. The team focuses on the specific behaviors that will help them achieve their M.I.T.s. Leave us a comment and let us know: When everything feels important, how do you choose what is actually the Most Important Thing? You’ve probably been on the receiving end of a harried manager barking these words at you. You may even have said them yourself. 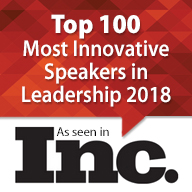 I’ve delivered many keynote programs and workshops where frontline leaders in the audience approach me afterward and proudly announce how they are in the habit of telling their people not to bring a problem without a solution. Here’s the thing, if you’re in a leadership role, yes, your executives can fairly expect you to think things through and bring solutions (particularly when you’ve got bad news – see the D.A.R.N. Method). You’ve got the experience and responsibility to be able to own your problems and look for answers. However, your employees are a different audience. Telling employees not to bring a problem without a solution is careless and lazy. They may not know how to problem solve. They may lack critical thinking skills. They may not have the training or information they need to arrive at reasonable solutions. Now you’ve got people mucking about with problems they can’t solve and that they won’t bring to you. The problems fester, productivity and service decline, and everyone is frustrated. The answer is definitely not to play the hero and jump in with answers, nor is it the old-school “Don’t bring me a problem without a solution!” The immediate problems might get solved and work continues, but next time an issue comes up, your team still can’t figure it out for themselves and, worse, you’ve now taught them that if things get difficult, you’ll just figure it out for them. Yes, you’re the hero, but say goodbye to your own productivity! What they really need from you in these moments are your questions: the kind of questions that focus on learning and the future. Questions that generate ideas and solutions. Do you need a specific skill or tool to be able to solve this? What do you think will happen when you try that? Super-bonus question – keep reading to learn this powerful tool! Assuming that your staff have the basic skills, training, and materials they need to do their jobs, this conversation doesn’t have to take more than a few minutes. For a complex project, it might take the time required to drink a cup of coffee, but it shouldn’t take much longer than that. Don’t despair – it’s time to use the super-bonus question. When a team member says, “I don’t know,” most managers will then jump in and supply the answer, but not you. There’s a better way. “I don’t know” can mean many things. Rarely does it mean the person has zero thoughts about the issue. Your job as a leader is to continue the dialogue – to ease the person through their anxiety and train their brain to engage. This is where the super-bonus question comes in. With one question you can re-engage them in the conversation and move through “I don’t know” to productivity. Before you judge this tool, try it. Try it with your children, with your co-workers, or with the person next to you in a coffee shop. In any conversation where someone says, “I don’t know,” respond with a gentle, “What might you do if you did know?” and watch what happens. The person who was stymied two seconds ago will start to share ideas (often good ones) brainstorm solutions, and move on as if they were never stuck. It’s amazing and hard to believe until you try it. The super-bonus question works because it addresses the source of the person’s “I don’t know.” If they were anxious or fearful, it takes the pressure off by creating a hypothetical situation: “If you did know…” Now they don’t have to be certain or look for your approval and they become free to share whatever they might have been thinking. Our brains can do amazing work when we remove the emotional blocks. When you do this for your team, you train their brain to engage, to push through their ordinary blocks, and increase their performance. Ultimately, they will be able to have these conversations with themselves and will only need to bring the very serious issues to you. Celebrate those moments and encourage them to start asking those questions of the people around them. You’ve just increased your team’s capacity for problem-solving, freed up time to focus on your work, and…you’ve built a leader! Before you bark “Don’t bring me a problem without a solution,” remember that when a team member has trouble thinking through a problem, good questions are your best solution. Leave us a comment and share: How do you develop critical thinking and problem-solving skills in your team? What is one best practice you would recommend to encourage your team? I thanked him for the encouragement and headed out on my ride. About 10 minutes in I had a choice…to head straight up the steep incline or take an easier route. “Hmmm…” I thought. “This is a mountain. But I do mountains.” And up I went. And a sense of relief falls over the room. There are always big smiles and sometimes applause. Not for us, but because “John” gets it. Don’t be afraid to call a mountain a mountain. If your team is facing a steep climb, recognize it. And then remind them of the mountains they’ve scaled before and why you know they’ll be successful. How do you energize and support your volunteers? I was cycling from Breckenridge, Colorado up Vail Pass on a recent Sunday afternoon. What I hadn’t anticipated was that the Copper Triangle, a major cycling event, was happening at the same time, and I soon found myself slowly climbing up the steep mountain while hundreds of cyclists were racing down. A mile and a quarter before the summit, one of those speeding cyclists clipped the wheel of another rider and was thrown from his bike about 10 yards in front of me landing on his head. 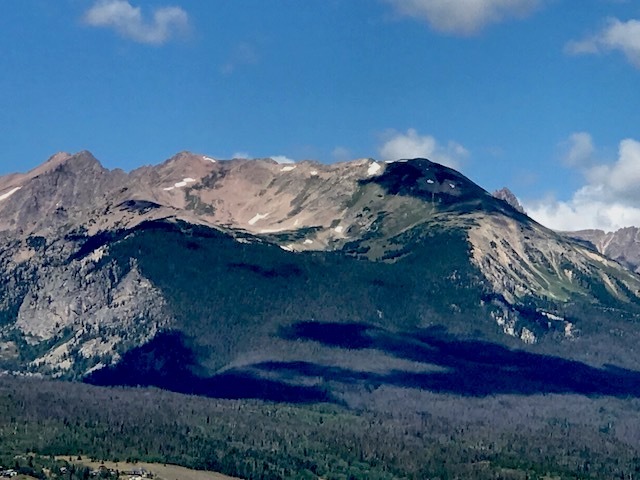 Several of us watched helplessly as he flew through the air, and then raced to the scene of his limp and lifeless body, while blood streamed from his head onto the steep asphalt trail. Fortunately, one cyclist was a nurse and she immediately jumped in to help; another rider called 911; another retrieved the number from his helmet to contact the race officials; and I rode fifty yards up the mountain, placed my bike perpendicular to the trail and worked to slow down speeding racers so they didn’t ride into the accident or into one another as they were forced to brake suddenly. Watching me struggle with the volume of riders coming at me at a fast speed, another cyclist approached me. “How can I help you? I want to be of assistance, but the scene down there is just too sad for me to watch.” We decided he would take my spot and I would position myself another 25 yards up, just before the blind curve. Most of the riders were appreciative, slowed down immediately, thanked us, inquired as to how serious things were and followed our directions immediately. But we were shocked by the 5% who not only didn’t help but actually made matters worse. Within the first five minutes of the accident, one rider refused to stop and rode her bike directly through the spilled blood and headed down the hill. Other riders shouted rude remarks to us as we directed them to slow down. “I see there’s an accident, sh_t happens.” “Don’t tell me what to do!” “This IS SLOW (for me),” which was decidedly beside the point. Every time a rude remark was thrown our way, my fellow-rider-turned-traffic-cop and I looked at each other in disbelief. This was not the tour de France. How in the world could people be so self-centered? Why would anyone treat folks just trying to help in such a rude manner? I was shocked at how important that stranger’s quick sentence of encouragement felt during that stressful moment. 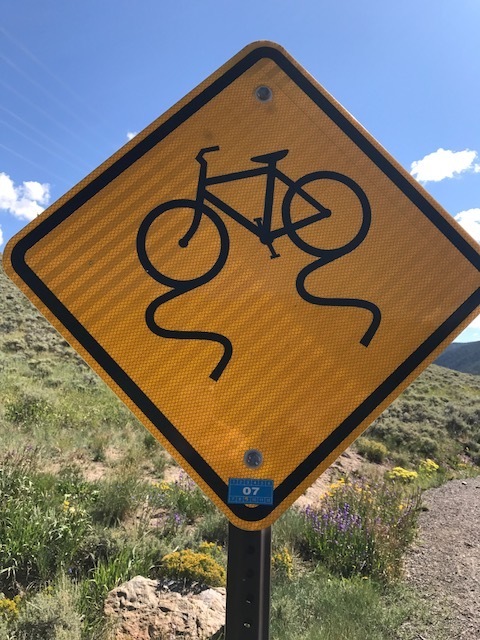 I haven’t been able to find out what happened to our fellow fallen cyclist. I pray that he’s recovering well. And I’m left with a vivid memory of how quickly a team of volunteers can come together to do the best they can, and of the outliers who made their job more difficult. Here are 5 sentences that can help you better support your volunteers. 1. What can I do to help? Sometimes the best we can do is follow. The nurse was in charge, but she needed help from the rest of us. It’s easy to assume we don’t have what it takes to be useful in a time of crises… but it’s so important to stop and think. What must be done here and how can I help? 2. What you are doing here is valuable. Sure volunteering comes with its own intrinsic rewards, but it also comes with a lot of crap. You can’t go wrong by reminding a volunteer that their work is making a difference. So simple, yet so often underused. I try to quadruple my “thank yous” when working with volunteers–and remember everyone is essentially a volunteer–discretionary effort can’t be bought. 4. Let’s have some fun! 5. What do you think we should do? Have you ever volunteered for something you know you’re good at, only to be micro-managed? Your volunteers have great ideas and different perspectives. Tap into their hearts and minds as well as their lending hands. I think one of the reasons that we sometimes forget to support volunteers is because we’re volunteering too– there’s a sense that we’re all in this together because we believe in the mission and the cause. A little extra effort to say the right thing at the right time can still make a remarkable difference. Your turn. What are your favorites questions to support your volunteers?